How Does Your HVAC System Remove Humidity? An AC unit can reduce humidity, but you need to buy one that is functioning in a proper way – so that you can ensure comfort for your family from excessive moisture as well as prevent damage due to mold and mildew. Most air conditioning systems can regulate humidity. It is important to choose one of an appropriate size, so that the humidness in your office or home is controlled effectively. Do Air Conditioners Work Better with Dehumidification? Humidity traps heat, and a lot of humidness within your home compels your AC system to work harder for its removal. In case of excessive humidity, your AC will be unable to remove entire moisture in a complete way after air conditioning installation. This can make your interior air clammy and cool rather than dry and cool. Too much humidity can also lead to the growth of mildew and mold. With a dehumidifier, your air conditioner will not need to work so hard. This is because you do not have to make your home colder to ensure the comfort of everyone even when humidness is high. In warm weather, your AC system operates like a dehumidifier. When your AC extracts moisture from the surrounding air, the air appears to be cooler and lighter. 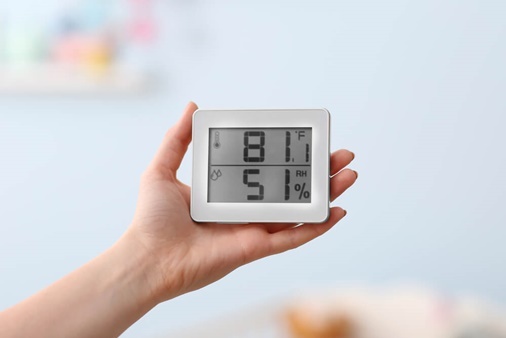 According to HVAC technicians, the relative humidity level in homes should ideally be in the range of 40 – 50%. When the climate is very humid, your air conditioner might be unable to get rid of all the humidness from surrounding air. Even if your home has a humid climate and your AC is running at maximum level, you might benefit from the use of a dehumidifier at home. A dehumidifier can support your air conditioning device in getting rid of moisture from the adjoining air. Laymen can only understand that air conditioning systems cool homes by blowing cool air into the rooms. However, AC systems can remove wetness and heat from your living area while cool air is blown into it. Air conditioner units can remove humidity and heat due to the presence of refrigerant in them. Refrigerant is able to absorb heat and release it, as it changes easily to a gas from a liquid and then back to a liquid again. However, humidness is actually moisture and it is withdrawn in a little varied manner. Air conditioner units impact the level of humidity through the removal of moisture from surrounding air. Moisture removal from the air is part of the overall process of cooling. This makes water a by-product of operating an AC system. Up to 9 gallons of water can be generated every day by your AC system after air conditioning installation. You have possibly seen how water drains from your air conditioner while it is operating. On humid days, an HVAC system extracts more water from the air. This water is drained via the condensate drain that transports it to the drains of the home or even out of the home. How Do Air Conditioning Units Remove Humidity? Most sophisticated air regulating units can control humidness. You might have observed your AC system’s evaporator coil, which has a condensate pan immediately underneath. Water vapor present in the air is condensed by the evaporator coil. removal and draining. It is the case with each air conditioning cycle. The process takes place once moist and hot air from your rooms get in touch with your cold evaporator coil. Then, the liquid is condensed and removed from the air, which reduces the level of humidness in your home. The moisture gathered by your AC evaporator coil is moved first to a drain and is then expelled out from the office or home. 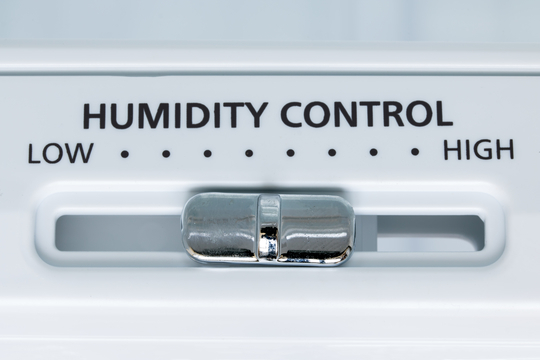 How Does Humidity Affect an HVAC System? Theoretically, an AC unit should be capable of moisture removal from the air. However, most of the air conditioner units are unable to cope when there is an increase in humidness levels. Wetness in air has a negative effect on air conditioning, given that it offsets the overall cooling effect. When there is very high wetness in air, you can feel your home to be warmer than real. You will need to keep your air conditioning system operating well but not be able to get as much benefit from its use. To put simply, you will have to pay more for cooling your home without actually getting that effective cooling effect that can make you and others in your establishment comfortable. Can HVAC Units Deal with High Humidity? 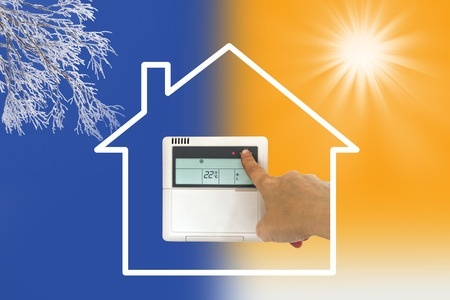 AC systems cool down homes through the removal of moisture and heat from the surrounding air. Air conditioners have to work much harder when there is very high level of humidness. In case your HVAC unit lacks enough cooling capacity, it might be unable to deal with too high humidity. Thus, you will never feel actually comfortable in your home. Musty odor – Very high wetness can make the air around your home damp and ultimately cause unpleasant issues for you. Clammy, moist air – You can feel clammy skin while you are in your home. Foggy windows – It occurs due to the fact that humidness is actually vaporized water in air. Once it is suppressed within home, it can make the windows foggy. Often, people feel that a more powerful and larger air conditioning unit can cool a home in a more effective way. However, that might not always hold true. If the capacity of your AC system is significantly larger than required, it might be unable to rid moisture from air effectively. high amount of moisture from air. Thus, it is important to purchase an AC unit that is appropriate for your home. After proper air conditioning installation, your air conditioner does not have to work as hard for cooling your home, when you have a dehumidifier for support. You can use your AC less often and save on energy expenses.